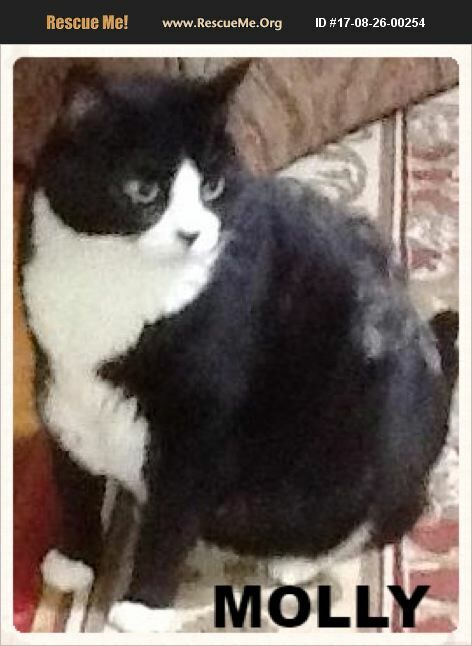 Molly is a shy girl so would recommend a home without children or lots of noise. She has been living with a single woman. She should be adopted with her sister Chloe as she has grown up with her. I have many health issues and am concerned for their future care.